Step by step process from VCT/Mastic Removal to Decorative Broadcast Epoxy System. Concrete densifier and chemical hardener, hardens and dustproofs concrete at a molecular level. A densified, finished surface offers substantial improvement in abrasion and chemical resistance and will significantly improve the durability of the surface when compared to untreated concrete. As the densifier penetrates into the concrete surface, a chemical reaction occurs with the free lime and calcium, producing a by-product that fills the pores of the concrete. This in turn creates a substantially denser concrete surface with enhanced durability. 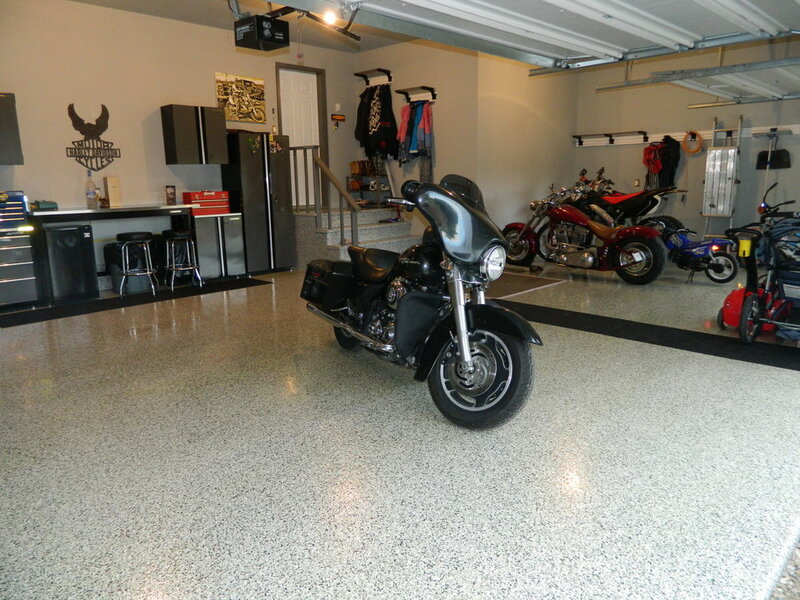 This system is proven to eliminate dusting and pitting of the concrete. After the densification process, a concrete enhancer can then be applied to produce a high level of sheen that greatly increases appearance and light reflectivity. This environmentally safe, water-based product features a zero VOC content and provides an attractive option in green building applications. Recommended Usage: Industrial Plants and Warehouses, Storage Silos, Sewage Plants, Chemical Processing Facilities, Refineries, and Heavy Pedestrian Floor Traffic Areas, such as Civic Centers, Sports Arenas, Stadiums, Hospitals, Airports, and Museums.